The Risk Management and Insurance (RMI) program ensures the presence of systems to minimize the frequency and severity of personnel and property losses. Additionally RMI maintains cost-effective risk financing mechanisms as well as keeps institutional leadership apprised of the levels of risk retention and the costs of risk transfer. RMI’s three product lines are Workers’ Compensation, Property Insurance (real business property and fleet), and Business Continuity Planning. Workers’ Compensation is a program that provides medical and income benefits to employees injured during the course and scope of employment. UTHealth provides these benefits on behalf of all employees including faculty, staff, and residents. If you or an employee you supervise has an on-the-job injury medical care should be found through the IMO Network unless it’s an emergency. When necessary medical attention is provided please complete Supervisor's First Report Packet (pdf). Students are covered under their personal insurance, however RMI would like any injured students to complete Supervisor's First Report Packet (pdf). Reporting work related injuries and illness insures proper accident investigation and possible development of mitigation strategies to reduce accident recidivism. 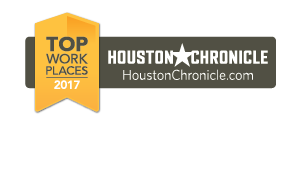 Most UT Health Science Center at Houston employees receive Texas-specific Workers' Compensation insurance coverage through the UT System self-administered plan. Health science center faculty or staff stationed out of state or in another country may require coverage under a separate workers' compensation policy since some states or countries do not accept the self-administered plan. One whose permanent home and work address is located in another state or nation, whether the office is newly set-up or has been in existence for a long time. An employee hired in Texas for a new office in Washington, D.C., for example, where that person will live. In-State Employee — One who travels outside of Texas for a limited assignment, but keeps Texas as a home base and intends to return to Texas — even if an out-of-state residence is set up temporarily. Risk Management and Insurance must be alerted if someone in your department falls within out-of-state or out-of-country categories — as detailed above, so the health science center can provide the correct insurance coverage for our employees. Please contact Sondra Faul, (713) 500-8127, with information about any employees who may fall into an out-of-state or out-of-country category. All Visitors/Guest/Patients who need to report an incident taking place on UT Health property should use this form. All Employees/Medical Residents/Student should continue to use the Supervisors’ First Report of Injury. All employees and students traveling abroad on university business or programs now have access to worldwide assistance and evacuation services through International SOS. This includes employees and students who are already overseas on university programs. The coverage is fully funded by UT System for employees and students traveling on university business. SOS program services include 24-hour access to International SOS physicians for emergency or routine medical advice, emergency medical and security evacuations, lost document assistance, and access to country-specific medical and security information (see complete list of services below). This is not medical insurance. To access these forms, you will need the UT System membership number to enter into the space provided on the Web page. Travelers also can print the UT System membership card from the Web site. The card contains 24-hour emergency numbers and the UT System membership number. Please call 713-500-8405 for the membership number. Very helpful online Country Guides, providing valuable medical, security and cultural information for travelers, are available on the Web, as well. We are pleased to offer worldwide assistance and evacuation services to our faculty, staff and students traveling abroad as university representatives. International SOS is a leader in this area and we believe their services will be a valuable addition to your international travel contingency plans. Please contact Diane Collard, (713) 500-8405, for further details on the program. UTHealth’s property insurance program is administered by UT System and managed at UTHealth by Risk Management and Insurance. The Comprehensive Property Protection Program (CPPP) is constructed of two “towers”, Fire and All other Perils (AOP) and Wind and Flood (W&F). All UTHealth property is “covered” but any covered loss experiences a $250,000 per occurrence. Most losses experienced at UTHealth are below the $250,000 per occurrence deductible. UTHealth offers additional property insurance, equipment floater, that effectively “buys down” the deductible. The vast majority of UTHealth’s losses are “retained losses.” These are losses that are below the $250,000 deductible. What are the three most common retained loss perils (Word document). It is possible to “buy down” the UTHealth deductible of $250,000 per occurrence by purchasing additional insurance. This additional insurance can be purchase for $1.00 per $100 of insured value. For example if a laboratory purchased a microscope for $5,000 and insured the microscope under the equipment floater policy the premium would be $50 per year. Once the premium is paid and a covered loss occurs, depending on the equipment, the per occurrence deductible is between $1500 and $2500. The financial decision to purchase additional insurance for certain types of equipment is based on a financial recovery formula, that suggests the purchase of additional insurance if the total value of the asset after purchasing five years’ worth of premium and the associated deductible is greater than 70% of the assets original value. Although depreciation, revenue created by the asset, loss frequency and severity, and inflation should also be considered when purchasing additional coverage, this formula provides a quick snapshot of asset valuation versus premium and deductible cost. Who do I report a loss to? Risk Management and Insurance would be the best place to report any losses to. However, RMI may by only one of many agencies and departments involved in a loss, depending on frequency and severity. A peril is something that could cause a loss. Examples include fire, flood, and named windstorm. A deductible is a portion of the loss that is retained by the insured. The insured is UTHealth and the deductible for property is $250,000. If a loss occurs the deductible may be the responsibility of the affected department. What is a retained loss? A retained loss is a loss that is less than the UTHealth deductible $250,000. Fleet insurance includes two types of coverages comprehensive and collision. Collision provides basic coverage for UTHealth vehicles and meets the State of Texas minimum vehicle insurance requirements. Collision is required on all UTHealth vehicles. Comprehensive coverage is an elective coverage, required for leased vehicles, for new vehicles and provides “full coverage” for most losses that could be experienced by a UTHealth vehicle. RMI also manages other insurance programs such as Fine Arts and Endowment. UTHealth’s fleet is comprised of vehicles that are owned by UTHealth, leased, rented, or owned by employees’ and used for UTHealth business. Each type of ownership within UTHealth’s fleet operation may require distinct risk financing programs to mitigate All operators of UTHealth vehicles are required to complete a Vehicle Use Report Log (Excel spreadsheet). Each operator should return the Vehicle Use Report Log to RMI monthly. Vehicle Use Report Log reporting is a state requirement and is auditable by various state agencies. How do I become a UT driver? Fax RMI a copy of your driver’s license to 713-500-8111. UTHealth will perform a driver history check. The check takes approximately 48 hours. When the driver check is completed and the driver passes the check, the driver will be required to take an online driver training course. How do I purchase fleet insurance? Contact RMI for purchase of insurance. Where do I turn in Vehicle Use Report Log (Excel spreadsheet)? Send all Vehicle Use Report Log to OCB 1.330. Where can I get new Vehicle Use Report Log? Contact RMI at 713-500-8100 and a book of Vehicle Use Report Log will be sent interoffice mail. Business Continuity Planning (BCP) is designed to decrease the depth, cost, and the duration, time, of a business interruption event. RMI’s approach to BCP is to mitigate the frequency and severity business interruptions using lessons learned from past losses. Planning for and mitigating past retained losses greatly reduces the impact of larger business interruption events. UTHealth BCP is a combination of two elements Necessary Institutional Services and school level operation units. Necessary Institutional Services include UT Police, Facilities, Planning and Engineering, IT, Public Affairs, SHERM, Animal Care, Finance, Human Resources, The Registrar, Medical Billing, and Auxiliary Enterprises. The School Level Operating Units include Administrative/service units, Research Laboratories, Clinical Practice, and Academics. Necessary Institutional Services are required to have a BCP in place. RMI provides assistance with plan creation and implementation, however these plan are specific to their operating unit. Please contact each Necessary Institutional Services for assistance regarding their specific plans. School Level Operating Units’ plans are developed by RMI. RMI developed BCP templates with assistance from School Level Operating Units. These templates are voluntary however they provide sound business practices for mitigating a business interruption event.